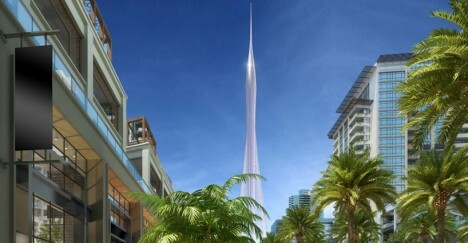 Edging out the record-holding Burj Khalifa by just a hair, the world’s tallest tower is set to rise into the Dubai skies by 2020 as the crown jewel of a new waterfront development. 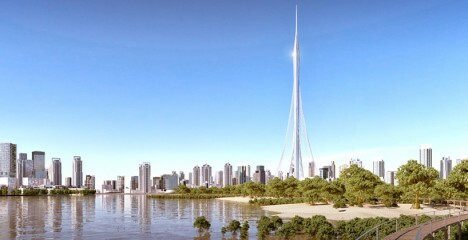 Neofuturist starchitect Santiago Calatrava, known for dramatic sweeping structures with complex engineering, won an international competition to design the as-yet-unnamed superstructure offering panoramic vistas of the city in February, and new images and details have just been released. 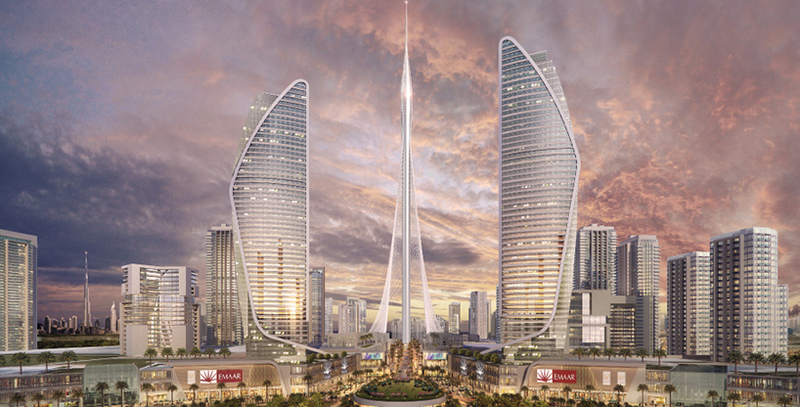 Taking design inspiration from the contours of a lily flower, the tower features Calatrava’s signature illuminated cables stretching from its length to the floor of the plaza. Floor after floor of luxury boutique hotel rooms lead higher and higher into the air, topped with the ‘pinnacle room’ observation space. Lushly planted decks envisioned as recreations of the Hanging Gardens of Babylon offer additional views. 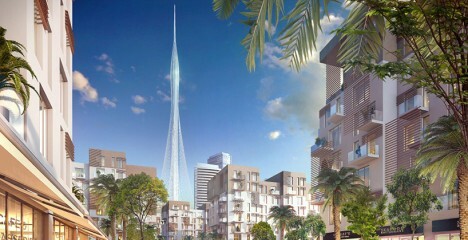 Since so many of Dubai’s announced projects never actually get off the ground, it remains to be seen whether this tower will end up snatching the crown from the 2,722-foot-tall Burj Khalifa, a mega-tall skyscraper completed in 2009 as part of another large-scale mixed-use development.